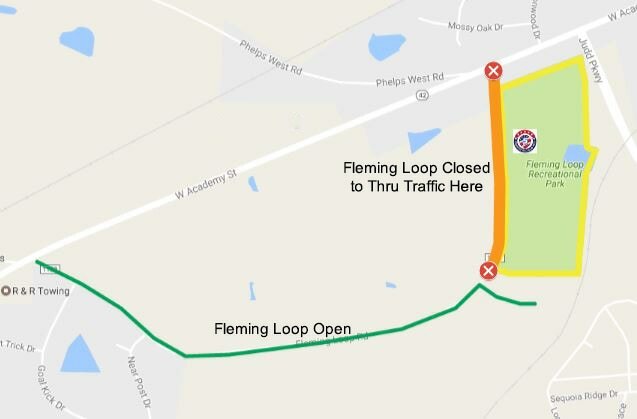 Fleming Loop Park is 26 acres (large enough to hold 19 football fields) with lots of things to do and see, which means there's lots of ground to cover just seeing the festival. Plan for walking at the festival and getting to the festival grounds. If you have mobility challenges, you may wish to consider planning ahead and renting a power scooter; many companies will bring them to your home fully charged. For safety reasons, there is no parking at Fleming Loop Park. There are a variety of public and private parking lots (including handicap accessible options) within a short distance from the entrance on Judd Parkway. All public parking is handicap accessible and there are paved sidewalks and crosswalks with curb cuts to the Main Entry to Fleming Loop Park on Judd Parkway. 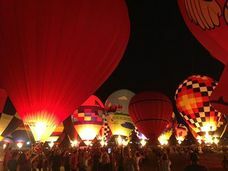 Plan for distances from parking to the event site similar to going to other major events, such as large concerts, football games, sporting events or the state fair, where even the closest parking can be a 1/2 mile from the main entrance. For some out of town guests, it may be easier to stay at your hotel or friends house and take a ride hailing service (shown below). All parking is operated independently at public and private lots near the festival grounds. Festival organizers offer the a list of parking lots for informational purposes only. Project Uplift USA receives no funding from parking - but we do accept donations for the expense of producing the festival. The following property owners and groups have information about their nearby property listed as a convenience to those planning to attend the 2018 Freedom Balloon Fest. This is not a complete list of all available parking surrounding Fleming Loop Park - only those who have asked for a free listing from festival organizers. There is a form button below for those who would like to have their lot listed. From Downtown Fuquay-Varina at the intersection of Academy & Main Street, the Town of Fuquay-Varina is completing the sidewalk all the way to the intersection of Judd Parkway in time for the Freedom Balloon Fest. Explore the "walk-ability" of Fuquay-Varina and get to know the downtown merchants of the Fuquay and Varina zones. 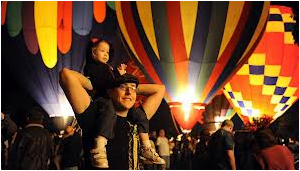 Here are some basic rules for how to prepare for Freedom Balloon Fest so everyone can have a great time. Take a moment to check them out and have a great time. No Smoking or Vaping on Park Grounds. Alcohol Consumption is only allowed in designated areas. You must be 21 or older (please have proper ID). Outside alcohol is prohibited. No Drones. 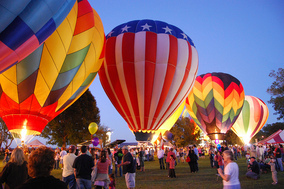 Only FAA and festival registered operators are permitted. If you bike to the park, you may NOT ride your bike on park grounds. Use a bike rack (a lock is recommended).